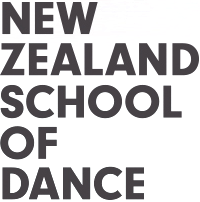 Adult ballet students have the opportunity to take classes in the state of the art New Zealand School of Dance studios. Taught by Kathiy Watson, these popular ballet classes have been running in Wellington for many years. Each class includes a stretching session and ballet technique. Intermediate Open classes are for dancers at the level of single pirouettes and short combinations. Senior Open classes are for advanced dancers, they include batterie, legs at 90°+ and multiple turns for pirouettes. Tailored to the needs of those attending, classes focus on extending both knowledge and technique. Kathiy has experience teaching adult dancers and is happy to answer questions. New and visiting dancers are always welcome and there’s plenty of free carparking. Classes run all year from 16 January until December. Note: Classes will commence for the year on 16 January, with a mixed open 6.00pm class. This class will continue through until the end of January. From 13 February, classes will be 6.00pm Senior class and 7.30pm Intermediate class. The NZSD also offers RAD Advanced 2 Ballet and Open Contemporary classes on Saturdays.